Why did all the girls except Lara had hideous and outdated looks which made them look like old ladies? If they wanted to make Lara stand out from the rest they definitely succeeded. Congrats Egypt for a great show!!! All 3 winners are cute, not drop dead gorgeous but cute. The biggest upset is that Zaynab didnt place amongst them. But Shayma was over hyped IMO, on TV she doesn't look that good. I love the idea that 2 winners were simultaneously crowned. All the 3 winners should have been simultaneously crowned, it's more exciting. Ps: Egypt and Jordan will be co-hosting the Miss Intercontinental 2014 pageant. 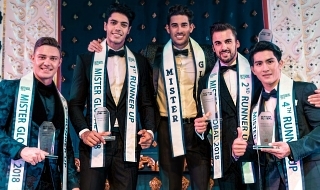 Pre-pageant activities in Aqaba, and the finale in Sharm Al Sheikh. She just needs to tone her body more and to find the perfect styling and then she's good to go!!! Go EGYPT!! 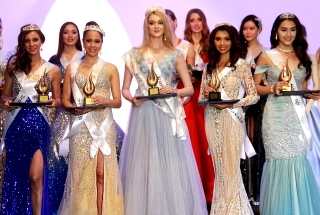 MISSWORLDFANATIC wrote: Both Amina (Miss World) and Lara (Miss Universe) were joint winners of Miss Egypt pageant, crowned together and took the same victory walk. 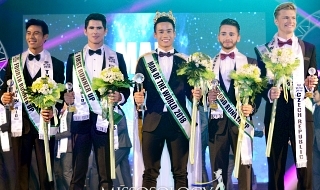 This is the first time in history that this has happened because originally the Miss Egypt pageant was made for Miss Universe in 1986 i believe. However, I feel they should have crowned Miss Egypt World during the preliminary show coz the whole thing looked a bit rushed. Not a good idea to have two joint winners in a pageant. Even the media got confused and reported only Amina as Miss Egypt. How I wish Nancy was also crowned together with the two. I felt like she was kinda if ignored because the two shared a victory walk while she there at the back together with the rest. It's clear that she's third placer but she's still one of the winners. OMG !!!!!! shaima is going to miss international and not heba !!! Thumbs down for Miss Egypt! unbreakable wrote: Zaynab not in the top 10 is the biggest joke in the pageant history ! A JOKE.. True! The exclusion of Zayneb Azzam from the top 10 is very illogical, shameful and scandalous! It shows how corrupt and unprofessional the organization is. I thought that Miss Egypt was more credible and less corrupt than Miss Lebanon, but it turned out to be much worse. Please, no more pageant next year! Just handpick Zayneb Azzam as Miss Egypt Universe/World 2015 and start to train her for international pageants, because she is the only hope for Egypt in Miss Universe, Miss World or any other international pageant. She is actually prettier than all of the Miss Egypt titleholders. Youssef Spahi shouldn't waste her if he is really interested in bringing big achievements to his country. woooow !! great choice..she was my favourite among the top 10 !! why did they write that she's the 3rd runner up ??? MISSWORLDFANATIC wrote: Egypt is wasting its time with Miss Universe. They should focus on Miss World. Looking at the girls who are selected as Miss Egypt 2014 winners, it's obvious their criteria is more suited for Miss World. One would expect girls like Lara to appear in Miss World. Mr. Sayed Kemal - name one Arab girl who won the title of Miss World. Egypt won Miss World in 1954 (long before Lebanon's victory in Miss Universe 1971). A year earlier (ie in 1953), they had placed as 2nd runner-up. Egypt participated in Miss World only 11 times so far, so 2 big placements out of 11 participations is already a good achievement. Unfortunately, they didn't send any single good delegate since 1956 (and 2014 won't be an exception).